Although the site is still in its infancy and there is still much to be added, already there has been a positive response from those who have looked at it. 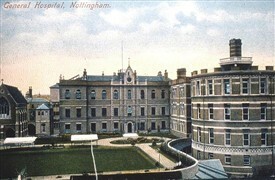 In all, its creators have made what they feel is a useful teaching resource for those who teach history and a site where information can be found for those who have an interest in Nottingham's Hospitals. This page was added by Paul Swift on 13/03/2012.